The answers to the questions "What is the name of the Orlebar Brown swim short featured in SkyFall?" was of course the Setter. This was answered correctly by 97% of the participants. The second question, "Including the movie SkyFall, in how many James Bond films does Judi Dench portray M? ", proved to be only slightly more difficult as 90% of the entries was correct with the number "7" (the M appears in the movies GoldenEye, Tomorrow Never Dies, The World Is Not Enough, Die Another Day, Casino Royale, Quantum of Solace and SkyFall). The winner was selected at random, and the name of this lucky man is Miguel Olivencia Pérez, from Spain! Congratulations! You will be contacted by Orlebar Brown to make sure you get your outfits in the right size. 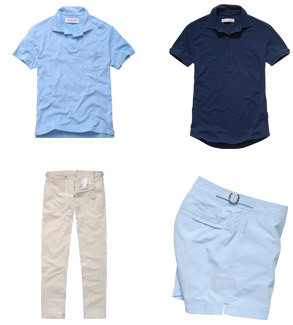 The outfits include the Orlebar Brown Setter Sky swimming shorts as seen in SkyFall, a classic navy polo, a pair of tailored chinos, and a towelling shirt. I want to thank every participant for entering. If you didn't win, make sure to stay tuned as there will be more big contests soon! The contest was one of the most popular contests on Bond Lifestyle with thousands of entries from all over the world. 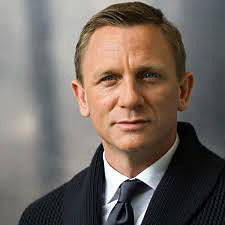 The participants also indicated who they thought was the best actor to portray James Bond and the overwhelming majority choose Daniel Craig as their favorite Bond. The large number of contestants makes the results of the survey very interesting and gives a look into the popularity of the Bond actors at this moment in time. As expected, the current Bond, Daniel Craig is the most popular, but that he is so far ahead of the rest is surprising! Thank you! I never expected to be the winner, and now I feel great!